If you have already submitted your information to receive a PRO Pack, please allow 6-8 weeks for delivery. For questions, email sales@aimpoint.com - thank you! 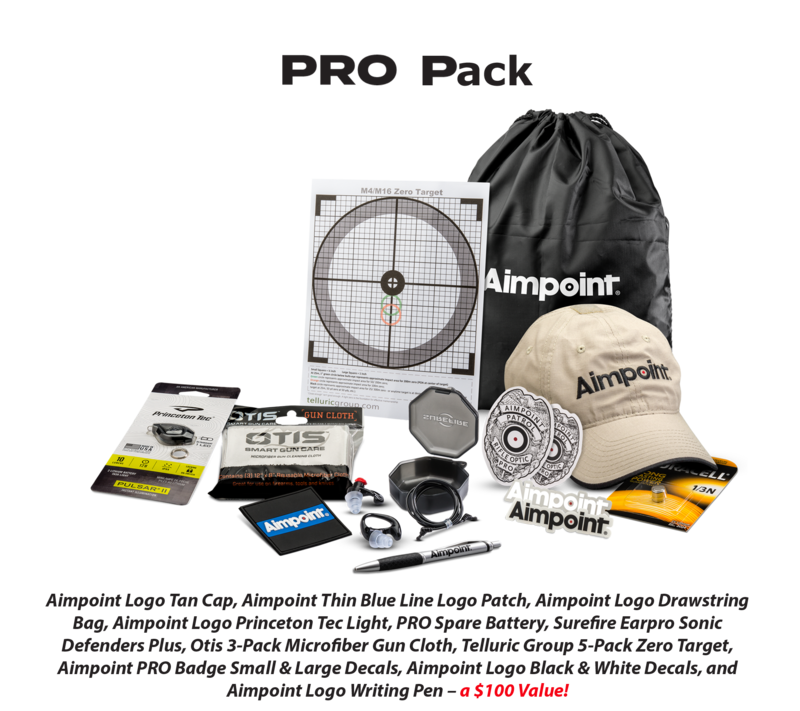 Thank you for purchasing an Aimpoint® Patrol Rifle Optic (PRO) from your authorized Aimpoint dealer. 1. Enter name and shipment information. 2. Enter PRO serial number (located under the Aimpoint logo on the left side of the sight body). 3. Upload your proof of purchase (scanned or photo copy of receipt). Please allow 6 to 8 weeks for delivery. Sales during November 24th through December 31, 2017 are eligible for this PROmotion. All PRO Pack contents included while supplies last. Your information is being verified! You will be contacted if we have any questions about your submission. 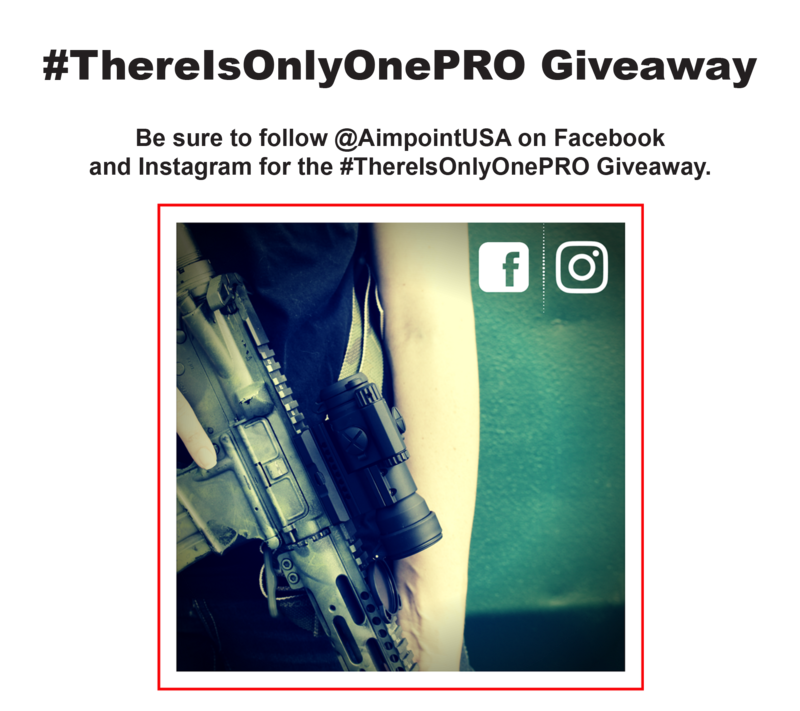 Otherwise, look for your PRO Pack in the mail (please allow 6-8 weeks for delivery) and be sure to follow us on Facebook and Instagram for the #ThereIsOnlyOnePRO Giveaway! I'd like to be notified of new specials or products from Aimpoint.